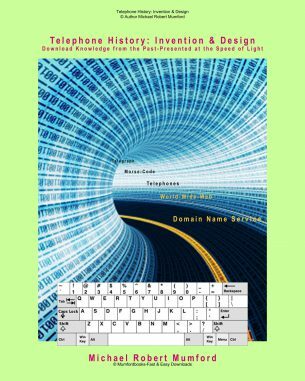 The complete development of Early Experimental Ideas, Invention & Design from 1830-1930, starting with the old Military and Naval Signal Flags still in use today, each flag spells an alphabetic message, letter by letter. 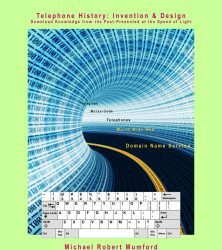 The next stage was the electric telegraph, the switching of electric current and needles, spelling out a letter-coded message. 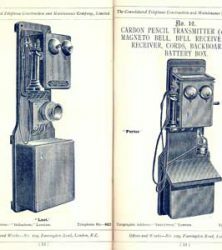 Finally, the speaking telephone, now the mini-computer: camera /smartphone we know today, with easy downloads. reduce the number of telegraph wires used, which was related to the number of needles. An urgent need arose to do this with some of the early installations, which had deteriorating insulation causing some of the original wires to be unusable. Cooke and Wheatstone’s most successful system was eventually a one-needle system which continued in service into the 1930s. Cooke and Wheatstone’s two-needle telegraph as used on the Great Western Railway.and Samuel Morse, using diffent methods of experimental and practical switching.Samuel F. B. Morse, the American physicist Joseph Henry, and Alfred Vail developed an electrical telegraph system. This system sent pulses of elect to recording sound 1860 and the Reis Transmitter, (all developed before A.G. Bell invented his telephone). 2.16 Pioneer Amateur & Professional Scientists, Engineers: Alexander Graham Bell, Joseph Henry and Alfred Vail. 3. 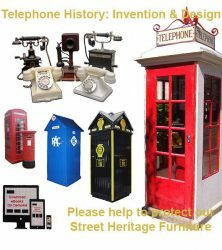 5 Examples of Early Telegraph/Telephones, original & modern reproductions. 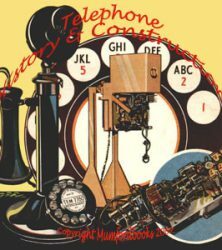 Telephone & Telegraph Co.1899 and General Post Office, UK 1878. Police boxes, Automobile AA and RAC kiosks. Telephone engineers and transport 1860-1960.
less Telegraph & Signal Co.1909, The Plessey Co. 1917. 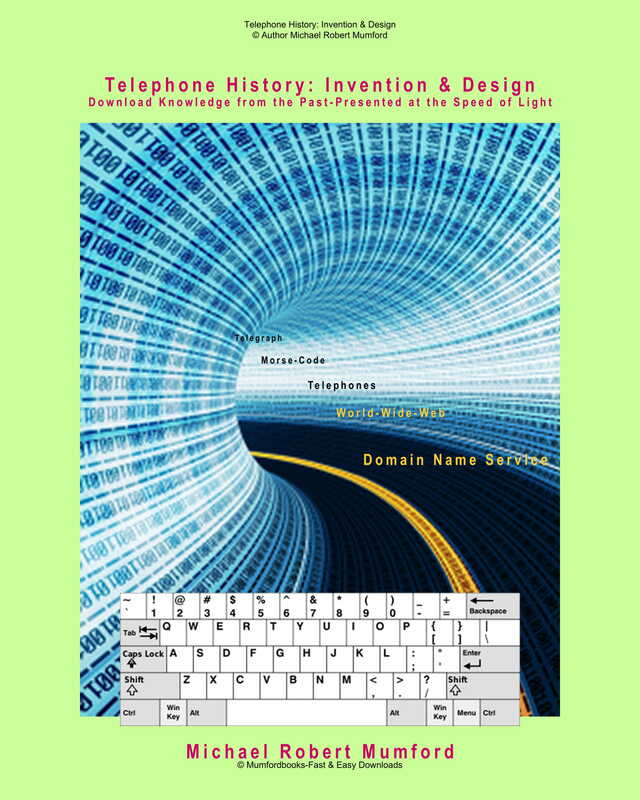 Each country had its own state run public Telephone Systems.